Something is missing here at Channel 3 this week: the presence of our dear friend Al Terzi. As many of you know, Al’s son Michael died unexpectedly on Thursday. He was only 40 years old. When we got the call early in the morning we were stunned and our thoughts immediately turned to the man who is always there for everyone in our newsroom. Al. To the younger generations at Channel 3, Al is a mentor. To everyone he is an invaluable resource of knowledge and history, not just about journalism and news stories, but about life. 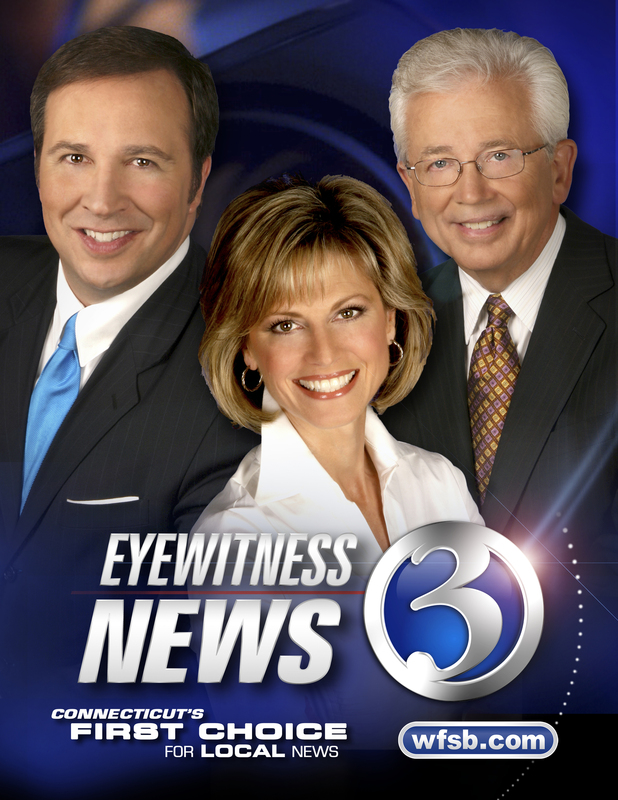 Since 1995 Denise, Al and I have been a team on the evening news. After Gayle left in ’99, it was just the three of us. For years we have been three peas in a pod…literally, sitting together at the same pod in our newsroom in the legendary Broadcast House in downtown Hartford and here at our new newsroom in suburbia. The three of us are good friends and we have shared the ups and downs of our lives for a long time. We always have a good laugh at work talking about the silliest of things, and we never tire talking and hearing about each other’s families. The close proximity of our desks allows us to know a good deal about each other and both Denise and I can tell you thanks to unavoidable eavesdropping, Al is a wonderful father, grandfather, husband, son and friend. We know how much Michael meant to him, and we feel Al’s loss deeply. Michael’s wake and funeral brought out in my estimation more than a thousand people, perhaps even two thousand. Mourners waited two and half hours to pay their respects. It was a testament to how many friends and loved ones the Terzi family has. There were people from walks of life, from all over the state, and from all four television stations in the state, ESPN, newspapers and radio. When Al comes back to work we will be there for him, and his family is in our prayers tonight. Is An Intervention Ahead For Senator Dodd? If you’re coming to Hartford, bring a bag lunch!